​* Homework: Bring your MLK textbook to class this Wednesday (to be returned). * Blue Book Exam scores will be posted to Power School by next week. ​* Homework: Bring your MLK textbook to class tomorrow (to be returned). ​* Hand out Study Guide for District-mandated End of Course Assessment (EOCA). Additional copies of the AH2 EOCA Study Guide can be downloaded by clicking here. This Guide serves as your ENTRANCE TICKET to take the EOCA. No Guide = No Test... No Test = Repeat Course. * Pathways: Read pages #514-523 (The Obama Presidency) by Wednesday. Complete Cornell Notes for this lesson. Don't forget to have your EQ packets completed. If even ONE EQ or one part of one EQ is left blank, you will lose re-assessment opportunities! PLEASE triple check your packets!!! * Pathways: Read pages #514-523 (The Obama Presidency) by tomorrow. Complete Cornell Notes for this lesson. Don't forget to have your EQ packets completed. If even ONE EQ or one part of one EQ is left blank, you will lose re-assessment opportunities! PLEASE triple check your packets!!! * Pathways: No reading assignment. Don't forget to have your EQ packets completed. If even ONE EQ or one part of one EQ is left blank, you will lose re-assessment opportunities! PLEASE triple check your packets!!! ​* Homework: Study for Unit #6 MC Test (Monday) and Blue Book Exam Test (Tuesday). * Pathways: Read pages #482-487 (The Clinton Years) by tomorrow. Complete Cornell Notes for this lesson. * Mental Floss: Read Chapter #10 (pages #357-393) by Wednesday. * Pathways: Read pages #488-491 (A New Wave of Immigration) and #492-495 (Technology and Globalization) by tomorrow. Complete Cornell Notes for these lessons. * Pathways: Read pages #500-504 (Bush's Global Challenges) by tomorrow. Complete Cornell Notes for this lesson. * Pathways: Read pages #505-509 (Focusing on Afghanistan and Iraq) by tomorrow. Complete Cornell Notes for this lesson. * Pathways: Read pages #510-513 (Domestic Challenges) by Monday. Complete Cornell Notes for this lesson. ​* Homework: ​Review state history test materials and practice tests on Schoology. * Mental Floss: Read Chapter #10 (pages #357-393) by Wed., April 25th. * Pathways: Read pages #473-477 (The End of the Cold War) by Monday. Complete Cornell Notes for this lesson. * Pathways: Read pages #460-463 (The New Conservatism) and pages #464-468 (The Reagan Years) by tomorrow. Complete Cornell Notes for these lessons. * Mental Floss: Read Chapter #9 (pages #315-354) by Mon., April 16th. * Pathways: Read pages #469-472 (Life in the 1980s) by tomorrow. Complete Cornell Notes for this lesson. * Pathways: Read pages #434-438 (The Nixon Administration) and #439-442 (The Watergate Scandal) by Wednesday. Complete Cornell Notes for these lessons. * Pathways: Read pages #434-438 (The Nixon Administration) and #439-442 (The Watergate Scandal) by tomorrow. Complete Cornell Notes for these lessons. * Pathways: Read pages #443-446 (Ford and Carter) by tomorrow. ​Complete Cornell Notes for this lesson. * Pathways: Read pages #447-451 (New Approaches to Civil Rights) by tomorrow. Complete Cornell Notes for this lesson. * Pathways: Read pages #452-455 (Environmentalism) by Monday. Complete Cornell Notes for this lesson. * NOTE: There will be an after school Blue Book Study Session in Dr. Hartnell's classroom from 2:30-3:15. * Wrap up Unit #5 and review for MC Test (Wednesday) and Blue Book Exam (Thursday). ​* Homework: Study for Unit #5 MC Test (Wednesday) and Blue Book Exam (Thursday). * Pathways: No new assignments. You should be through Reading Assignment #12 and have completed your Cornell Notes for each lesson. All EQs should also be answered. This packet is due on Wednesday. Failure to complete it or turn it in will result in forfeiture of re-assessment opportunities! NO exceptions! ​* Homework: Study for Unit #5 MC Test! * Pathways: No new assignments. You should be through Reading Assignment #12 and have completed your Cornell Notes for each lesson. All EQs should also be answered. This packet is due on tomorrow. Failure to complete it or turn it in will result in forfeiture of re-assessment opportunities! NO exceptions! ​​* Homework: Study for Unit #5 Blue Book Exam! * Take Unit #5 Blue Book Exam. ​​* Homework: Check how you did on MC Test by visiting Power School. * Homework: If you have been granted re-assessment, prepare for your written or verbal re-assessment by reviewing your Pathways Packet and Guided Notes. Re-assessment will begin the Wednesday we return from Spring Break (April 4th). ​* Pathways: Read pages #410-413 (The War Winds Down) by tomorrow. Complete Reading Assignment #9 in Pathways Packet by tomorrow. Complete Cornell Notes for this lesson. * Mental Floss: Read Chapter #8 (pages #267-312) by Mon., March 19th. ​* Homework: Study for your Unit #5 Multiple Choice Test (next Tuesday) and Blue Book (next Wednesday). ​* Pathways: Read pages #362-366 (The New Frontier) by tomorrow. Complete Reading Assignment #1 in Pathways Packet by tomorrow. Complete Cornell Notes for this lesson. * Pathways: Read pages #367-371 (JFK and the Cold War) by tomorrow. Complete Reading Assignment #2 in Pathways Packet by tomorrow. Complete Cornell Notes for this lesson. * Pathways: Read pages #372-375 (The Great Society) by tomorrow. Complete Reading Assignment #3 in Pathways Packet by tomorrow. Complete Cornell Notes for this lesson. * Pathways: Read pages #400-405 (Going to War in Vietnam) by tomorrow. Complete Reading Assignment #7 in Pathways Packet by tomorrow. Complete Cornell Notes for this lesson. ​* Pathways: Read pages #406-409 (Vietnam Divides the Nation) by Monday. Complete Reading Assignment #8 in Pathways Packet by Monday. Complete Cornell Notes for this lesson. * Pathways: Read pages #380-385 (The Movement Begins) by Wednesday. Complete Reading Assignment #4 in Pathways Packet by Wednesday. Complete Cornell Notes for this lesson. * Pathways: Read pages #386-391 (Challenging Segregation) by tomorrow. Complete Reading Assignment #5 in Pathways Packet by Wednesday. Complete Cornell Notes for this lesson. * Pathways: Read pages #392-395 (New Civil Rights Issues) by tomorrow. Complete Reading Assignment #6 in Pathways Packet by tomorrow. Complete Cornell Notes for this lesson. ​* Pathways: Read pages #418-420 (Students and the Counterculture), pages #421-425 (The Feminist Movement), and pages #426-429 (Latino Americans Organize) by Monday. Complete Reading Assignments #10, #11, #12 in Pathways Packet by Monday. Complete Cornell Notes for these lessons. * Homework: Study for Unit #4 MC Test (tomorrow) and Blue Book Exam (Wednesday). * Pathways: No new assignments. You should be through Reading Assignment #14 and have completed your Cornell Notes for each lesson. All EQs should also be answered. This packet is due tomorrow. Failure to complete it or turn it in will result in forfeiture of re-assessment opportunities! NO exceptions! * Take Unit #4 MC Test. * Homework: Study for Unit #4 Blue Book Exam! * Blue Book Exam scores will be posted to Power School by next Thursday. ​* Pathways: Read pages #380-385 (The Movement Begins) by next Wednesday. Complete Reading Assignment #4 in Pathways Packet by next Wednesday. Complete Cornell Notes for these lessons. ​* Pathways: Read pages #380-385 (The Movement Begins) by next Wednesday. Complete Reading Assignment #4 in Pathways Packet by Wednesday. Complete Cornell Notes for these lessons. * Pathways: No new assignments. You should be through Reading Assignment #14 and have completed your Cornell Notes for each lesson. All EQs should also be answered. This packet is due on Tues., Feb. 20th. Failure to complete it or turn it in will result in forfeiture of re-assessment opportunities! NO exceptions! * Wrap up unit and review for Unit #4 MC Test and Blue Book Exam (next Tuesday and Wednesday). * Homework: Study for Unit #4 MC Test (Tuesday) and Blue Book Exam (Wednesday). * Pathways: Read pages #323-329 (The Early Cold War Years) and #330-334 (The Cold War and American Society) by tomorrow. Complete Reading Assignments #9 and #10 in Pathways Packet by tomorrow. Complete Cornell Notes for these lessons. * Pathways: Read pages #335-339 (Eisenhower's Cold War Policies) by tomorrow. Complete Reading Assignment #11 in Pathways Packet by tomorrow. Complete Cornell Notes for this lesson. * Pathways: Read pages #344-348 (Truman and Eisenhower) by tomorrow. Complete Reading Assignment #12 in Pathways Packet by tomorrow. Complete Cornell Notes for this lesson. * Pathways: Read pages #349-354 (The Affluent Society) and #355-357 (The Other Side of American Life) by Monday. Complete Reading Assignments #13 and #14 in Pathways Packet by Monday. Complete Cornell Notes for these lessons. * Pathways: Read pages #318-322 (The Origins of the Cold War) by Monday. Complete Reading Assignment #8 in Pathways Packet by tomorrow. Complete Cornell Notes for this lesson. * Pathways: Read pages #308-313 (The War Ends) by tomorrow. Complete Reading Assignment #7 in Pathways Packet by tomorrow. Complete Cornell Notes for this lesson. * Pathways: Read pages #286-293 (Wartime America) by Thursday. Complete Reading Assignment #4 in Pathways Packet by Thursday. Complete Cornell Notes for this lesson. * Pathways: Read pages #286-293 (Wartime America) by tomorrow. Complete Reading Assignment #4 in Pathways Packet by tomorrow. Complete Cornell Notes for this lesson. * Pathways: Read pages #294-300 (The War in the Pacific) by tomorrow. Complete Reading Assignment #5 in Pathways Packet by tomorrow. Complete Cornell Notes for this lesson. * Pathways: Read pages #301-307 (The War in Europe) by Monday. Complete Reading Assignment #6 in Pathways Packet by Monday. Complete Cornell Notes for this lesson. * Pathways: Read pages #266-270 (The Origins of World War II) by Wednesday. Complete Reading Assignment #1 in Pathways Packet by Wednesday. Complete Cornell Notes for this lesson. * Mental Floss: Read pages #234-263 in Chapter #7 by Fri., Jan. 12th. * Pathways: Read pages #266-270 (The Origins of World War II) by tomorrow. Complete Reading Assignment #1 in Pathways Packet by tomorrow. Complete Cornell Notes for this lesson. * Pathways: Read pages #276-281 (The Holocaust) by tomorrow. Complete Reading Assignment #3 in Pathways Packet by tomorrow (yes, this is out of order). Complete Cornell Notes for this lesson. * Pathways: Read pages #271-275 (From Neutrality to War) by tomorrow. Complete Reading Assignment #2 in Pathways Packet by tomorrow (yes, this is out of order). Complete Cornell Notes for this lesson. * Pathways: Read pages #286-293 (Wartime America) by Tuesday. Complete Reading Assignment #4 in Pathways Packet by Tuesday. Complete Cornell Notes for this lesson. * Discuss 2nd Semester Honors Student Pledge - are you interested in getting good grades or are you dedicated to getting good grades? * Discuss strategies for being successful on Blue Book Exams and Multiple Choice Tests. * Pathways: Read pages #266-270 (The Origins of World War II) by Tuesday. Complete Reading Assignment #1 in Pathways Packet by Tuesday. Complete Cornell Notes for this lesson. * Pathways: No new assignments. You should be through Reading Assignment #18 and have completed your Cornell Notes for each lesson. All EQs should also be answered. This packet is due on Wednesday. Failure to complete it or turn it in will result in forfeiture of re-assessment opportunities! NO exceptions! 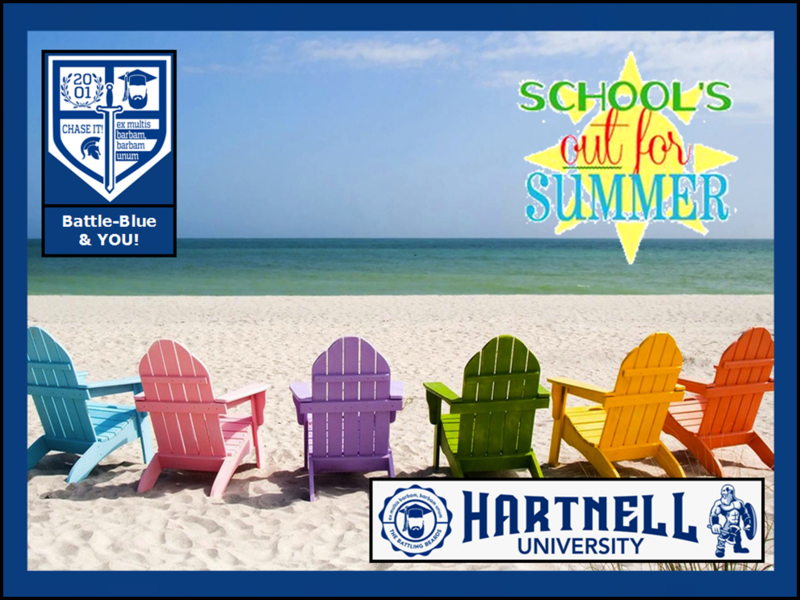 * NOTE: Today is the last day for Dr. Hartnell to look at any Unit #3 Blue Book outlines! * Pathways: No new assignments. You should be through Reading Assignment #18 and have completed your Cornell Notes for each lesson. All EQs should also be answered. This packet is due tomorrow. Failure to complete it or turn it in will result in forfeiture of re-assessment opportunities! NO exceptions! * Take Unit #3 MC Test. * Homework: Study for Unit #2 BB Exam! * Pathways: Read pages #221-223 (Cultural Innovations) by tomorrow. Complete Reading Assignment #8 in Pathways Packet by tomorrow. Complete Cornell Notes for this lesson. * Mental Floss: Read the first part of Chapter #7 (pages #227-234) by Dec. 4th. * Pathways: Read pages #224-227 (African-American Culture and Politics) by tomorrow. Complete Reading Assignment #9 in Pathways Packet by tomorrow. Complete Cornell Notes for this lesson. * Pathways: Read pages #232-236 (The Causes of the Great Depression), #237-239 (Life During the Great Depression), and #240-243 (Hoover's Response to the Depression) by tomorrow. Complete Reading Assignments #10, #11, and #12 in Pathways Packet by tomorrow. Complete Cornell Notes for these lessons. * Pathways: Read pages #248-254 (The First New Deal) and #255-258 (The Second New Deal) by tomorrow. Complete Reading Assignments #13 and #14 in Pathways Packet by tomorrow. Complete Cornell Notes for these lessons. ​* Nutty: Read this section for Monday: Econ 101. * Pathways: Read pages #259-261 (The New Deal Coalition) by Monday. Complete Reading Assignment #15 in Pathways Packet by Monday. Complete Cornell Notes for this lesson. ​​* Nutty: Read this section for Monday: Econ 101. * Pathways: Read pages #208-211 (The Politics of the 1920s), #212-216 (A Growing Economy), and #217-220 (A Clash of Values) by Monday, Nov. 27th (after Thanksgiving). Complete Reading Assignments #5, #6, and #7 in Pathways Packet by Nov. 27th. Complete Cornell Notes for these lessons. ​* Nutty: Read this section for Nov. 27th (after Thanksgiving): Roaring '20s. * Pathways: Read pages #184-188 (The U.S. Enters World War I) by Wednesday. Complete Reading Assignment #1 in Pathways Packet by Wednesday. Complete Cornell Notes for this lesson. * Mental Floss: Read Chapter #6 (pages #189-224) by Mon., Nov. 20th. * Pathways: Read pages #184-188 (The U.S. Enters World War I) by tomorrow. Complete Reading Assignment #1 in Pathways Packet by tomorrow. Complete Cornell Notes for this lesson. * Pathways: Read pages #189-193 (The Home Front) by tomorrow. Complete Reading Assignment #2 in Pathways Packet by tomorrow. Complete Cornell Notes for this lesson. * Pathways: Read pages #194-199 (A Bloody Conflict) by tomorrow. Complete Reading Assignment #3 in Pathways Packet by tomorrow. Complete Cornell Notes for this lesson. * Homework: Review pages #25-30 of your Unit #3 Notes for Monday and answer EQ 3.07 (Parts e, f); EQ 3.11 (All); EQ 3.12 (All); EQ 3.06 (Parts e, f); EQ 3.13; EQ 3.14 (All); EQ 3.15 (All); EQ 3.16. ​* Pathways: Read pages #200-203 (The War's Impact) by Monday. Complete Reading Assignment #4 in Pathways Packet by Monday. Complete Cornell Notes for these lessons. * Mental Floss: No assignments. ​* Hand out Unit #3: Ka-Boom to Bust Pathways Packet and discuss. ​* In observance of Veterans Day (which is tomorrow), all of Dr. Hartnell's students will be participating in his "The Price of Freedom" Memorial Wall Activity. Students will remember the 670,000 American soldiers that have been Killed-in-Action (KIA) since 1775 by placing 5,000 stickers (1 sticker = 134 KIA) on the wall outside of Dr. Hartnell's classroom. * Nutty: Read this section for Tues., Nov. 14th: World War I. * Pathways: No new assignments. You should be through Reading Assignment #18 and have completed your Cornell Notes for each lesson. All EQs should also be answered. This packet is due on Thursday. Failure to complete it or turn it in will result in forfeiture of re-assessment opportunities! NO exceptions! ​* Review for Unit #2 MC Test (tomorrow) and Blue Book Exam (on Friday). * Take Unit #2 Blue Book Exam. ​* Pathways: No new assignments. * Pathways: Read pages #92-95 (The Rise of Industry), #96-99 (The Railroads), #100-103 (Big Business), and pages #104-109 (Unions) by tomorrow. Complete Reading Assignments #9, #10, #11, and #12 in Pathways Packet by tomorrow. Complete Cornell Notes for these lessons. * Pathways: Read pages #122-127 (Social Darwinism & Social Reform) and #128-132 (Politics of the Gilded Age) by tomorrow. Complete Reading Assignments #13 and #14 in Pathways Packet by tomorrow. Complete Cornell Notes for these lessons. * Pathways: Read pages #133-137 (The Rise of Segregation) by tomorrow. Complete Reading Assignment #15 in Pathways Packet by tomorrow. Complete Cornell Notes for this lesson. * Pathways: Read pages #162-168 (The Roots of Progressivism) and #169-174 (Roosevelt & Taft) by tomorrow. Complete Reading Assignments #16 and #17 in Pathways Packet by tomorrow. Complete Cornell Notes for these lessons. * Pathways: Read pages #175-179 (The Wilson Years) by Monday. Complete Reading Assignment #18 in Pathways Packet by Monday. Complete Cornell Notes for this lesson. * Pathways: Read pages #114-117 (Immigration) and #118-121 (Urbanization) by next Monday. Complete Reading Assignments #7 and #8 in Pathways Packet by next Monday. Complete Cornell Notes for these lessons. * Pathways: Read pages #114-117 (Immigration) and #118-121 (Urbanization) by Monday. Complete Reading Assignments #7 and #8 in Pathways Packet by Monday. Complete Cornell Notes for these lessons. * Pathways: No new assignments (you should be through Reading Assignment #6 and have completed your Cornell Notes for each lesson). * Mental Floss: No new assignments (you should be up to page #186). * Work on Voices of Democracy essay competition or use this time to complete missed assignments or Blue Book outlines. * Pathways: Read pages #142-145 (The Imperialist Vision) and #146-151 (The Spanish-American War) by Wednesday. Complete Reading Assignments #4 and #5 in Pathways Packet by Wednesday. Complete Cornell Notes for these lessons. * Pathways: Read pages #142-145 (The Imperialist Vision) and #146-151 (The Spanish-American War) by tomorrow. Complete Reading Assignments #4 and #5 in Pathways Packet by tomorrow. Complete Cornell Notes for these lessons. * Pathways: Read pages #152-157 (New American Diplomacy) by tomorrow. Complete Reading Assignment #6 in Pathways Packet by tomorrow. Complete Cornell Notes for these lessons. ​* Mental Floss: No new assignments (but get caught up on any missed ones). * Mental Floss: Read Chapter #5 (pages #145-186) by Oct. 6th. ​* Hand out Cornell Notes and discuss the expectations for completing this assignment. * Work on Unit #2: America 2.0 Pathways Packet. * Pathways: Read pages #74-79 (Miners & Ranchers), #80-82 (Farming the Plains), and #83-87 (Native Americans) by Friday. Complete Reading Assignments #1, #2, and #3 in Pathways Packet by Friday. Complete Cornell Notes for these lessons. ​* Work on Cornell Notes. * Pathways: Read pages #142-145 (The Imperialist Vision) and #146-151 (The Spanish-American War) by next Wednesday. Complete Reading Assignments #4 and #5 in Pathways Packet by next Wednesday. Complete Cornell Notes for these lessons. * Review for Unit #1 MC Test (tomorrow) and Blue Book Exam (Tuesday). * Homework: Study for Unit #1 MC Test! ​* MLK: No reading assignment. * Homework: Study for Unit #1 BB Exam! * Take Unit #1 Blue Book Exam. * Discuss class average, how the Unit #1 MC Test went, and introduce re-assessment. * Homework: No assignment - take the weekend OFF from history! ​​* MLK: No reading assignment. ​* Nutty: Read these Nutty section for tomorrow: American Government and 27 Amendments. * Homework: All 35 EQs have been covered in discussions or in the Nutty readings. Take time to review all 35 EQs in order to prepare for your Unit #1 MC Test on Tuesday. * MLK: Read pages #4-69 (American History from 1492-1877) by Friday. * MLK: Read pages #4-69 (American History from 1492-1877) by tomorrow. * Nutty: Read these Nutty section for Tuesday: American Government and 27 Amendments. * EQ Prep Day; Blue Book review. ​* Nutty: Read these Nutty section for Tuesday: American Government and 27 Amendments. * MLK: Read pages #4-69 (American History from 1492-1877) by Sept. 8th. * Mental Floss: Read Chapters #1-4 (pages #3-144) by Sept. 8th. ​* Homework: Review pages #27-29 of your Unit #1 Notes for tomorrow and answer EQ 1.09 (All); EQ 1.10 (Part b); EQ 1.12. * MLK : Read pages #4-69 (American History from 1492-1877) by Sept. 8th. ​* Mental Floss: Read Chapters #1-4 (pages #3-144) by Sept. 8th. ​* MLK: Read pages #4-69 (American History from 1492-1877) by Sept. 8th. * Hand out The Mental Floss History of the United States: The (Almost) Complete and (Entirely) Entertaining Story of America by Erik Sass. This is a FREE copy for you to keep... even if you decide to drop the class next week.